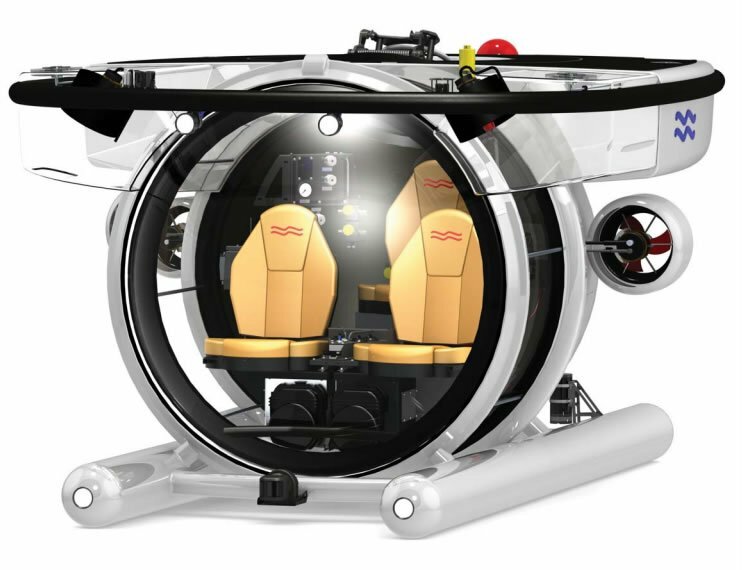 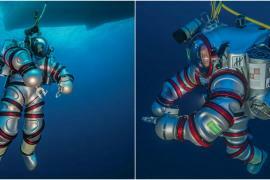 There are plenty of personal submarine designs out there, but none are as multipurpose as the one recently introduced by practical goods distributor- Hammacher Schlemmer. 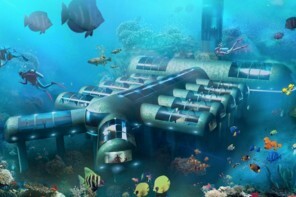 The star in question is the “Undersea Aquahoverer”, a submersible vehicle that can be easily driven under water, thanks to its in place hovering mechanism. 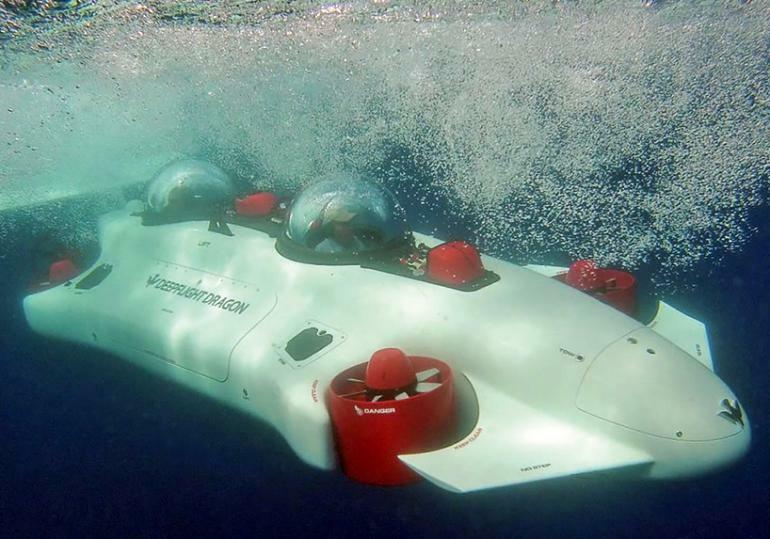 Perfect for amateur aquatic enthusiasts, the Undersea Aquahoverer can be maneuvered as easily as a car on roads. 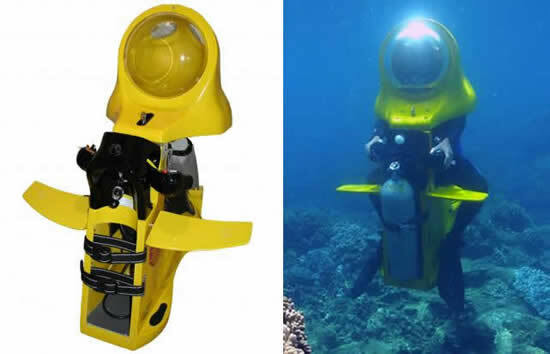 The unique water vehicle is designed to automatically hover in water when not being directed and comes sans the need of constantly being balanced by various instruments. 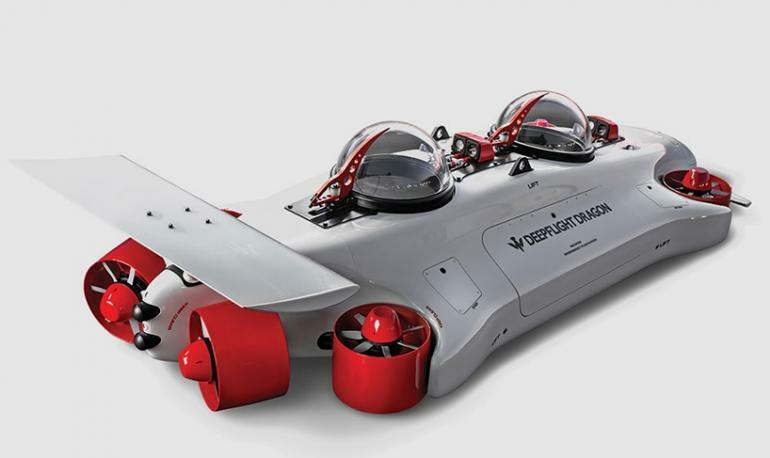 Capable of accommodating two passengers at a time, the submarine comes with six 400-RPM, 1.2-kilowatt ducted propellers and a rechargeable 15kWH battery. 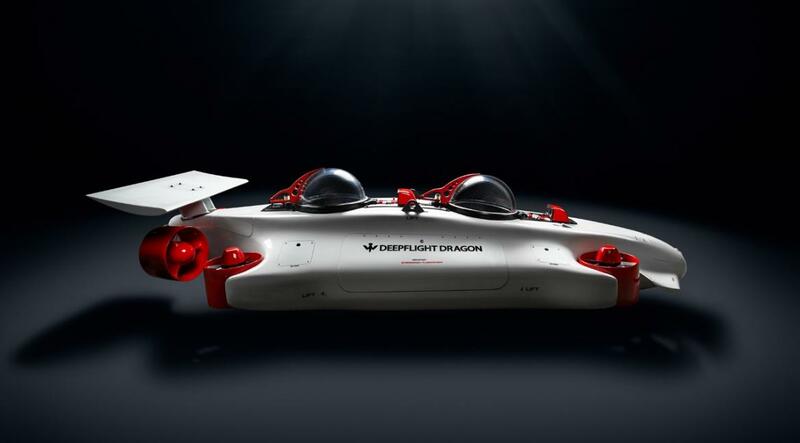 Further, its composite pressure hull and acrylic domes overhead act as a protection, while the driver sits leisurely in the carbon fibre seats. 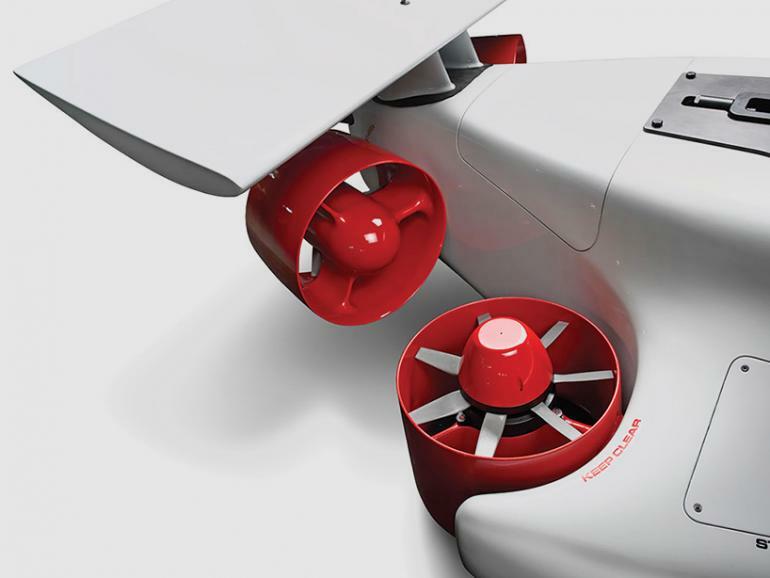 The propellers of the Aquahoverer provide easy omnidirectional movement and stand-still hovering underwater next to reefs, wrecks, and underwater species, which is precisely what makes this a layman’s wonder vehicle. 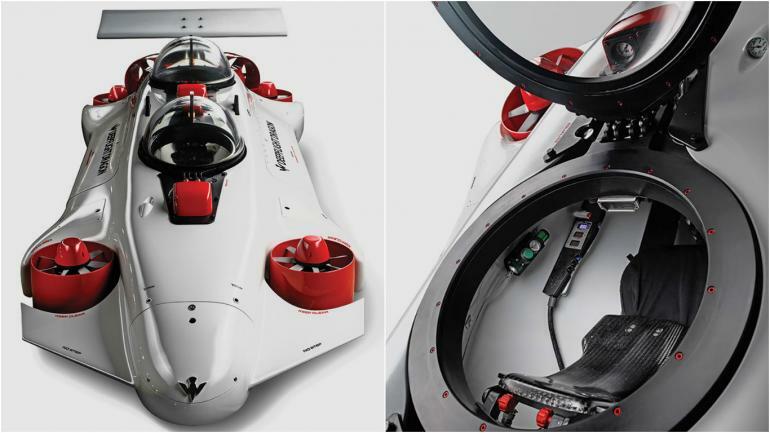 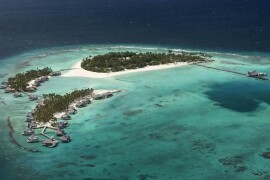 Further, its intuitive and fly-by-wire controls (from either cockpit), two independent digitally monitored oxygen systems, and a closed-circuit internal (and VHF-to-surface) communications system ensure underwater anomalies are kept a tab on. 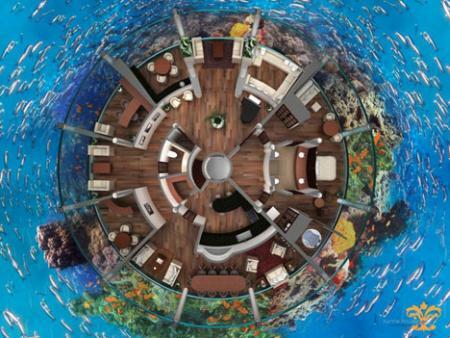 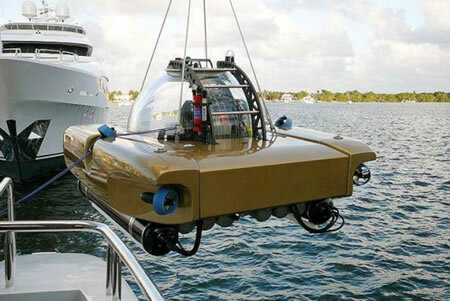 The versatile Undersea Aquahoverer carries a price tag of $15 million. 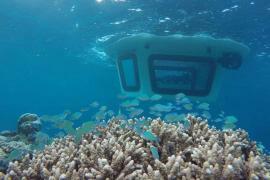 This may sound steep at first, but for being an easy to drive underwater carrier, it seems like a fair bargain. 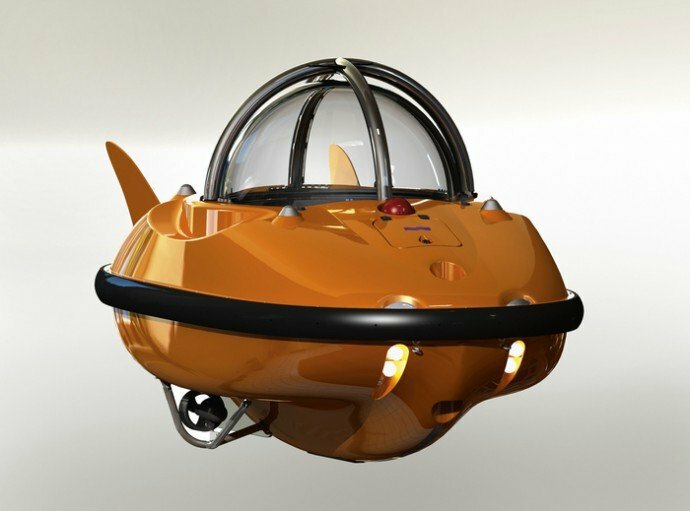 Aqua buffs who can’t wait to hop onto the Aquahoverer, visit Hammacher Schlemmer to buy yourself your very own personal submarine!